Headshot photography seems pretty simple to achieve. You set up your studio lights, you have your light meter, you nail the proper exposure, you click the shutter and you get the perfect picture! Well not quite. The reality is to make a great headshot photograph you need to establish a connection with your subject. You need to squeeze the juices out of them. What I mean here is that a lot people, even actors and actresses don't know what to do when they are in front of the camera. It is a working collaboration between photographer and subject. That is why after we warm up I start moving my clients in many ways that display their personality and strength. 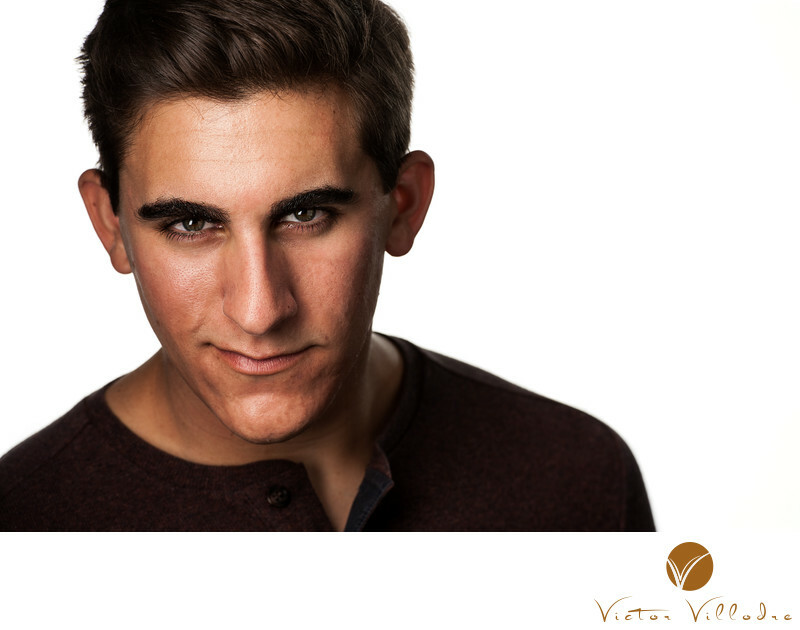 When I met Gerald, a working actor that was looking to update his headshots for an audition that was coming soon, I did exactly that. I had him move, I tweaked his positioning, I played with words that got the best out of him. We shot four different looks, from casual to formal. The results you can see right here in a couple of pictures that I have selected for my portfolio.